The 25-Series machines can be ordered as "Kit Systems." In the case of a 25-Series Kit System, we provide to you instructions, drawings, and photos so that you can fabricate the steel frame of the machine. 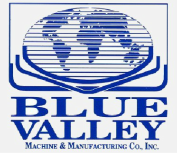 We ship to you all of the electrics, hydraulics, and tooling for the assembly of same into the machine frame. We likewise provide instructions for the assembly. There is a large savings of money regarding the freight of the 25-Series Dishing Machine as a Kit System. A 25-Series Kit can be shipped in one container with a Model 4, Model 6, or Model 8 Flanger. It can also ship in one container with the Model 87 Elliptical Head Machine.